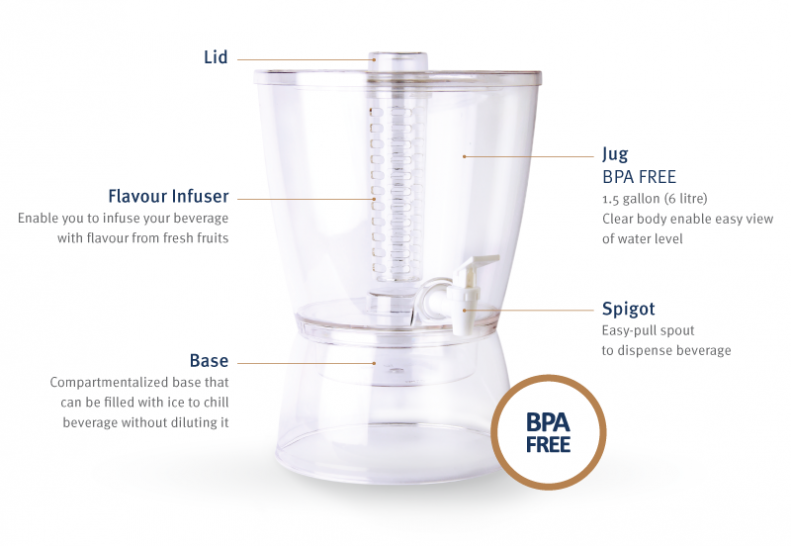 Parties and gatherings are a breeze with Blumix’s beverage dispenser! This clean-looking beverage cooler comes with a flavour infuser to add the pleasant twist to your thirst quencher, be it lemons, oranges or any flavour that catches your fancy! 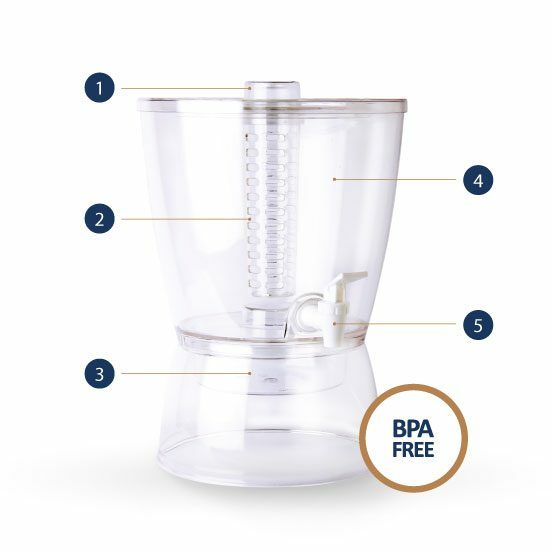 Ideal for events with large crowds, the Blumix comes with an ice bowl base to ensure your beverages are chilled without affecting its taste and quality.